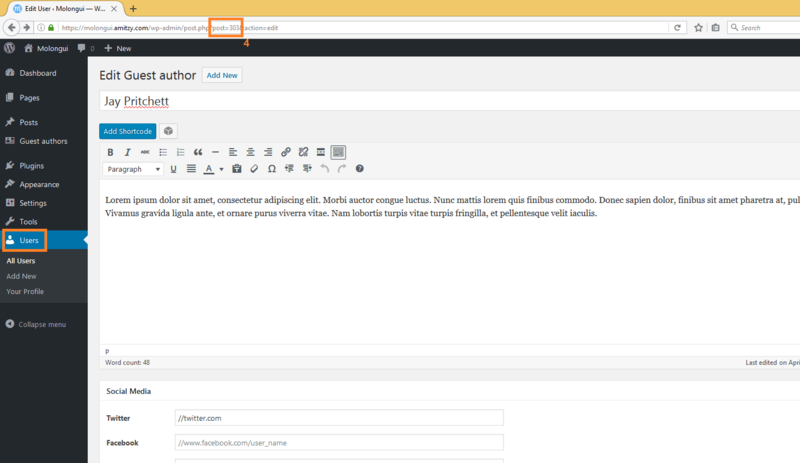 The Molongui Authorship plugin allows you to display the author box anywhere in your site thanks to the use of shortcodes. The shortcode will require you to indicate the ID of the author whose info will be displayed, it can be any registered user or guest-author on your site, not the one who authorizes the page it will be displayed on. 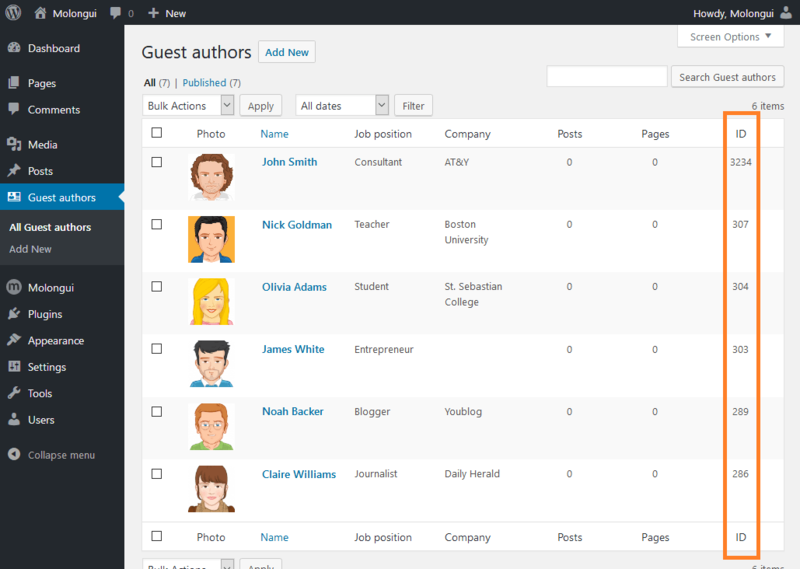 Log into your site’s Dashboard (the admin section of WordPress). Go to Guest authors > All guest authors. Look for the column “ID” at the right end of the table. That’s the user ID. Choose the user and go to his profile. “user_id” argument value in the URL gives the actual user ID of that particular author, which is ‘34’ in the current case. Choose the guest author and go to his profile. 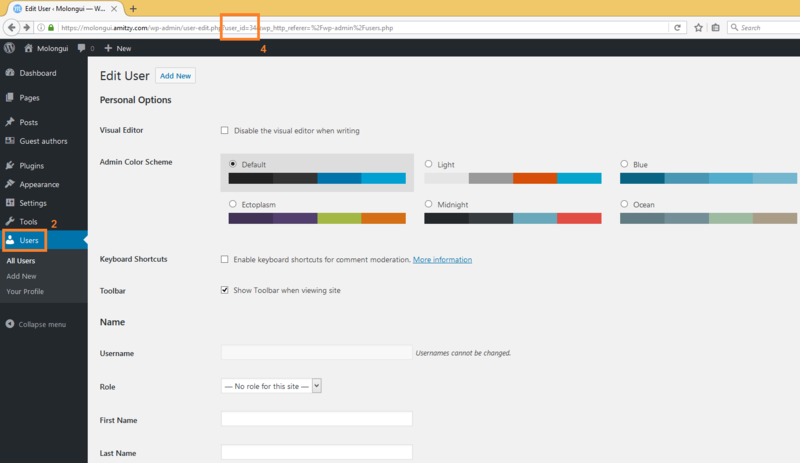 “post” argument value in the URL gives the actual ID of that particular guest author, which is ‘303’ in the current case.